With the iPhone 5 release date drawing closer, and an expected Apple press event in September – attention is turning to the other likely product announcement, the iPad 4. A growing number of rumors are suggesting that the “iPad 4” will in-fact be the 7-inch iPad Mini, a product aimed squarely at smaller competing tablets such as the Kindle Fire. It’s expected that the iPad Mini / iPad 4 release date will also be in September, with shipping beginning the following month. Given that the iPad 3 was only launched in March of this year, it’s highly unlikely that we’d see a completely new full-size (9.7-inch) iPad 4 enter the market. However, with the iPhone 5 almost guaranteed to feature a new Mini-Dock connector, we could see a ‘silent upgrade’ across multiple Apple products, including the iPad 3, to bring them in to line with the new standard. According to a tip published by iLounge, the iPad 4 (read: iPad 3) will receive modest updates including the new Mini dock, a rear-side microphone and heat-reduction improvements that manage the overheating and battery problems that were widely reported when the iPad 3 launched. These small improvements are unlikely to be marketed by Apple as the ‘iPad 4’, but will rather serve as another selling-point for the full-sized Apple tablet going in to the holiday season. Apple’s products follow a reasonably strict 12-month refresh cycle, and we’re not likely to see an iPad 4 release date until 2013. 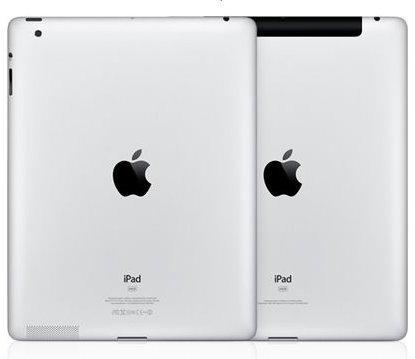 Could we see the iPad 4 release date in 2012? What features would you expect from the next-generation iPad? Share your thoughts in the comments below.